1. 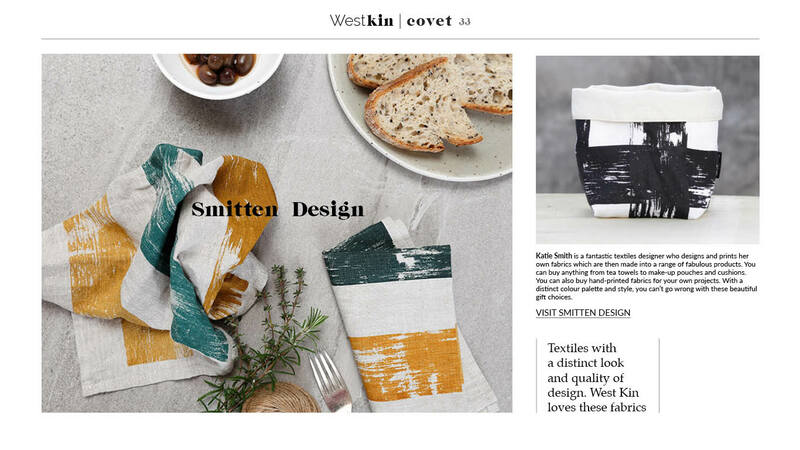 Smitten Design Katie Smith is a fantastic textiles designer who designs and prints her own fabrics which are then made into a range of fabulous products. You can buy anything from tea towels to make-up pouches and cushions. You can also buy hand-printed fabrics for your own projects. With a distinct colour palette and style, you can’t go wrong with these beautiful gift choices. 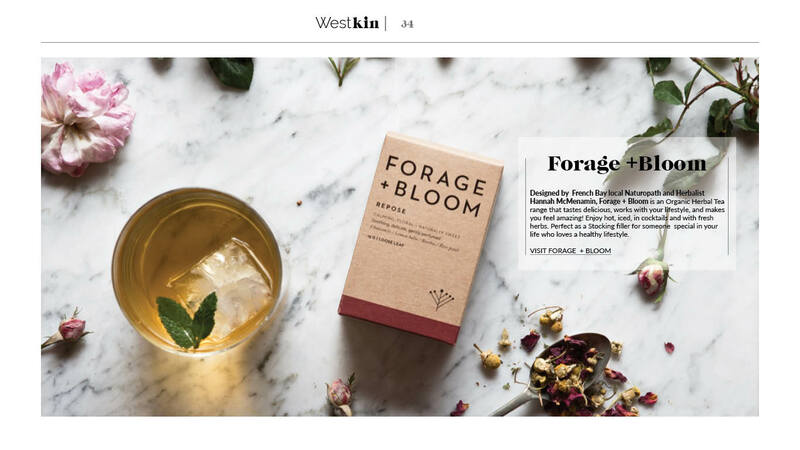 2.Forage +Bloom Designed by French Bay local Naturopath and Herbalist Hannah McMenamin, Forage + Bloom is an Organic Herbal Tea range that tastes delicious, works with your lifestyle, and makes you feel amazing! Enjoy hot, iced, in cocktails and with fresh herbs. 3. Kaolin Store is a carefully edited collection of ceramics for the home, handcrafted with care by New Zealand makers. 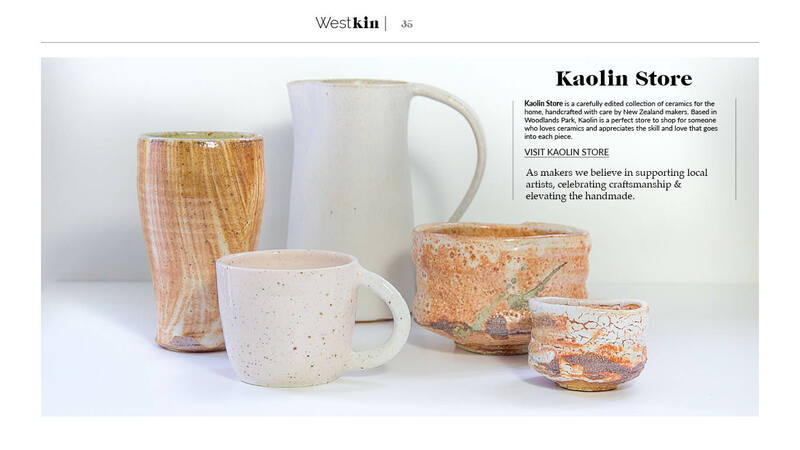 Based in Woodlands Park, Kaolin is a perfect store to shop for someone who loves ceramics and appreciates the skill and love that goes into each piece. 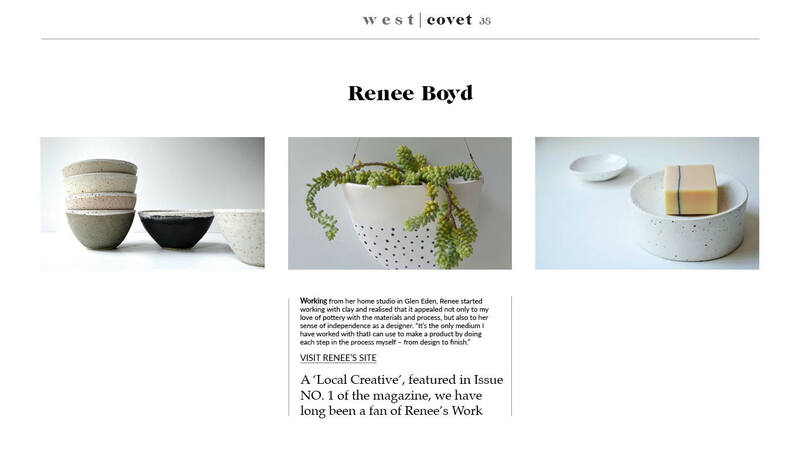 As makers we believe in supporting local artists, celebrating craftsmanship & elevating the handmade. 5. 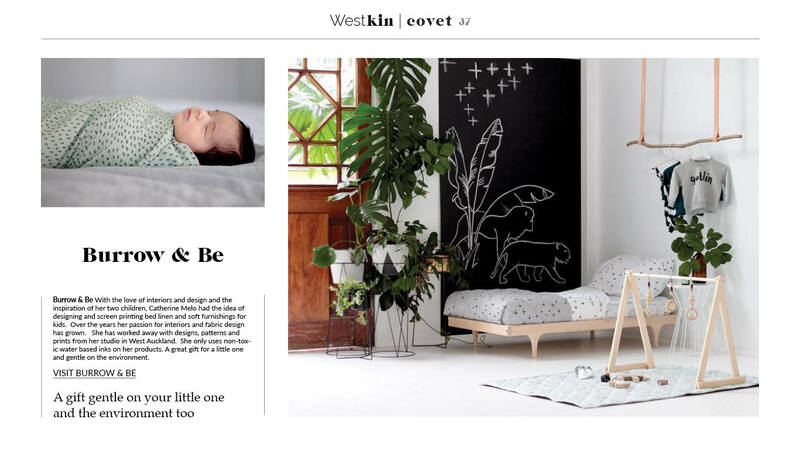 Burrow & Be With the love of interiors and design and the inspiration of her two children, Catherine Melo had the idea of designing and screen printing bed linen and soft furnishings for kids. Over the years her passion for interiors and fabric design has grown. 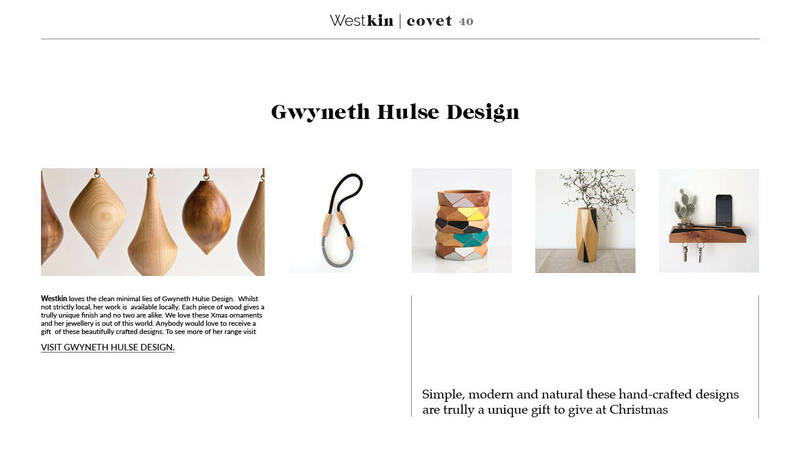 She has worked away with designs, patterns and prints from her studio in West Auckland. She only uses non-toxic water-based inks on her products. A great gift for a little one and gentle on the environment. 7. Totally Devoted, the food with benefits. Totally Devoted was created from a desire to provide new mums and health-conscious men with wholesome and natural products. 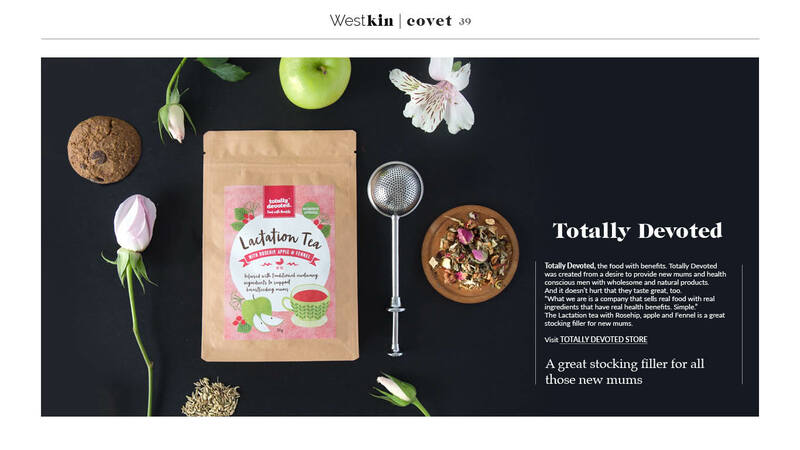 The Lactation tea with Rosehip, apple and Fennel is a great stocking filler for new mums. 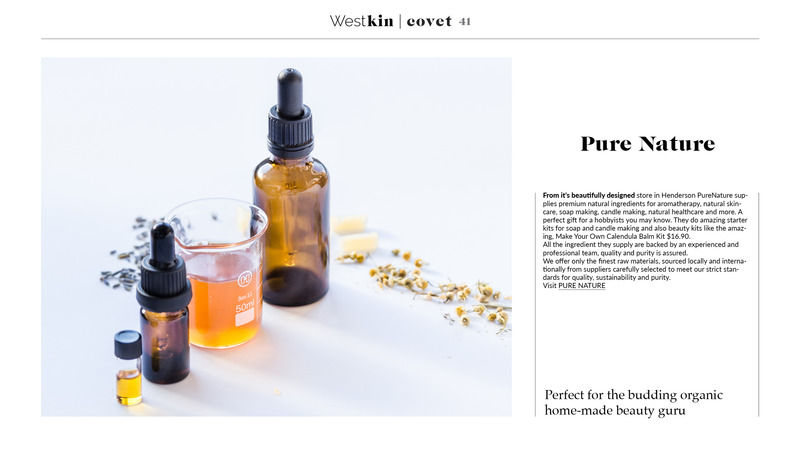 9.Pure Nature From it’s beautifully designed store in Henderson, PureNature supplies premium natural ingredients for aromatherapy, natural skincare, soap making, candle making, natural healthcare and more. A perfect gift for hobbyists you may know. They do amazing starter kits for soap and candle making and also beauty kits like the amazing, Make Your Own Calendula Balm Kit ($16.90). All the ingredients they supply are backed by an experienced and professional team; quality and purity is assured. 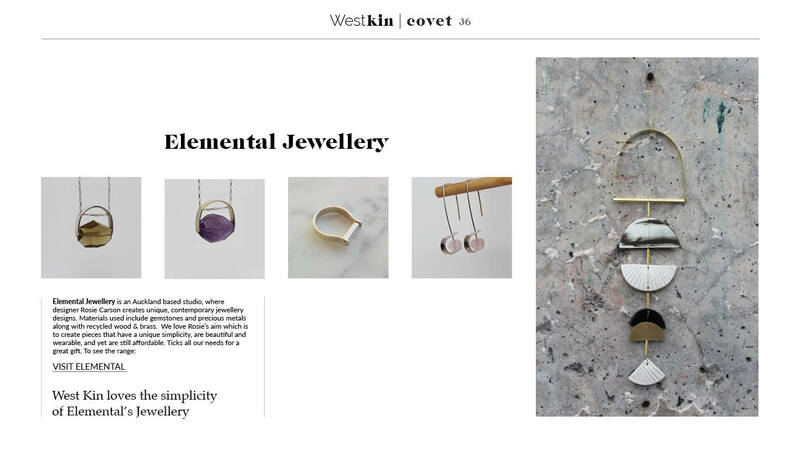 They offer only the finest raw materials, sourced locally and internationally, from suppliers carefully selected to meet their strict standards for quality, sustainability and purity. 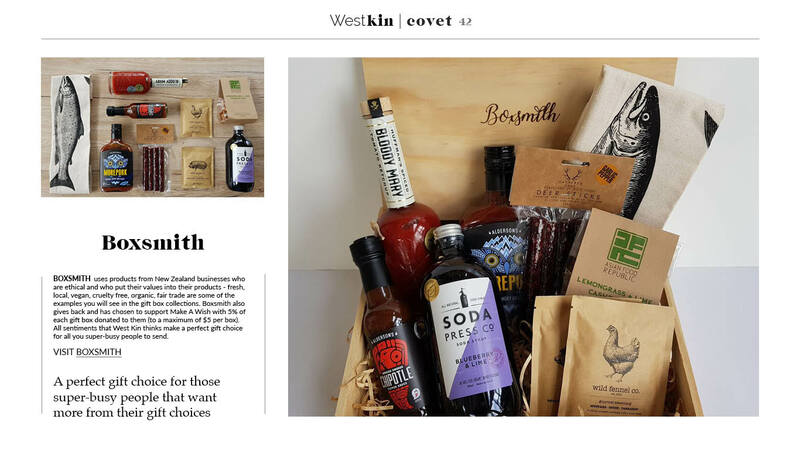 10.BOXSMITH uses products from New Zealand businesses who are ethical and who put their values into their products – fresh, local, vegan, cruelty-free, organic, fair trade are some of the examples you will see in the gift box collections. Boxsmith also gives back and has chosen to support Make A Wish with 5% of each gift box donated to them (to a maximum of $5 per box). 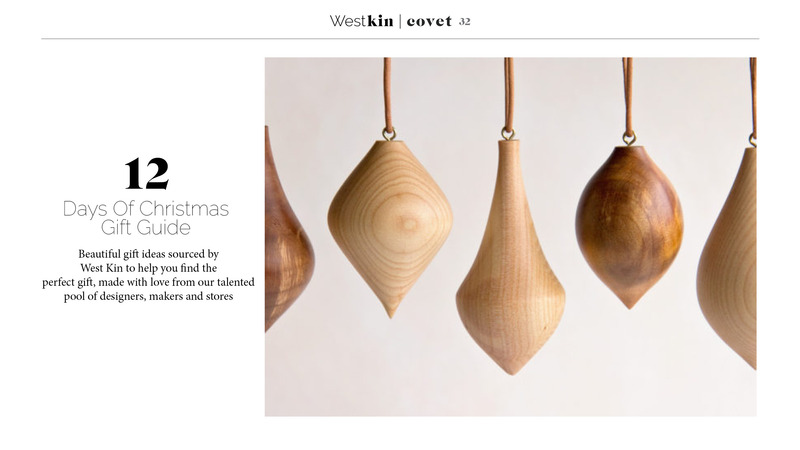 All sentiments that West Kin thinks make a perfect gift choice for all you super-busy people to send. 12. 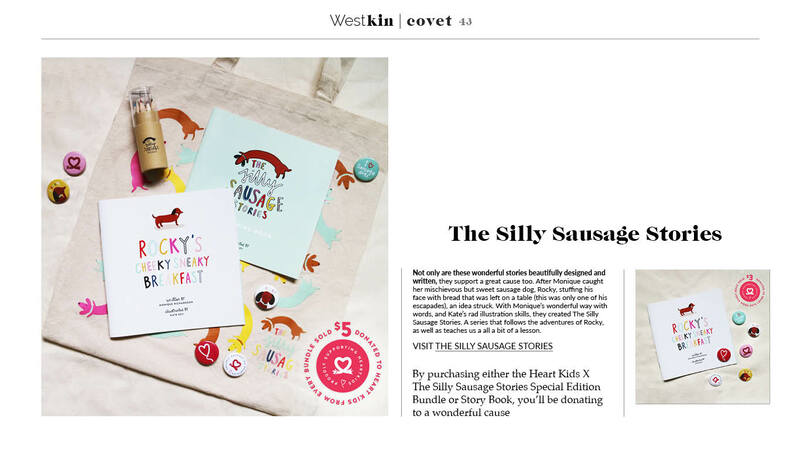 The Silly Sausage Stories Not only are these wonderful stories beautifully designed and written, they support a great cause too. After Monique caught her mischievous but sweet sausage dog, Rocky, stuffing his face with bread that was left on a table (this was only one of his escapades), an idea struck. With Monique’s wonderful way with words, and Kate’s rad illustration skills, they created The Silly Sausage Stories. A series that follows the adventures of Rocky, as well as teaches us all a bit of a lesson. 12.The Natural Co. is run by Rebecca from her Laingholm home. After becoming a mum she wanted to work in a job that allowed her to spend more time as a mother. The Natural Co. started from a desire to supply the very best natural, low toxic and cruelty-free brands to buyers. 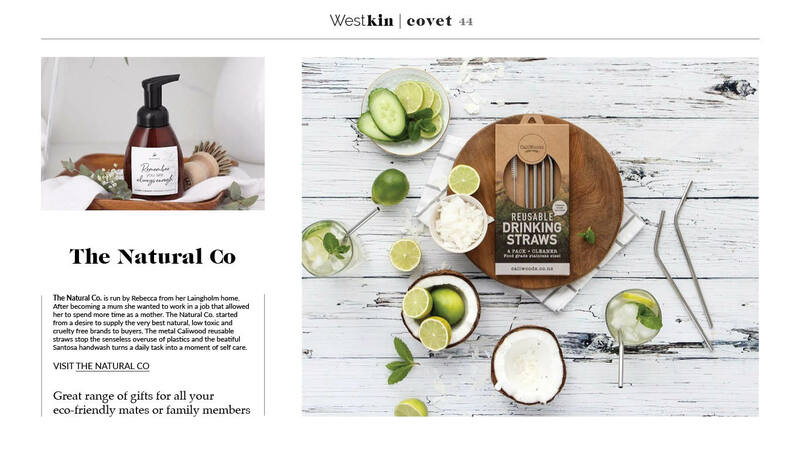 The metal Caliwood reusable straws stop the senseless overuse of plastics and the beautiful Santosa handwash turns a daily task into a moment of self-care.